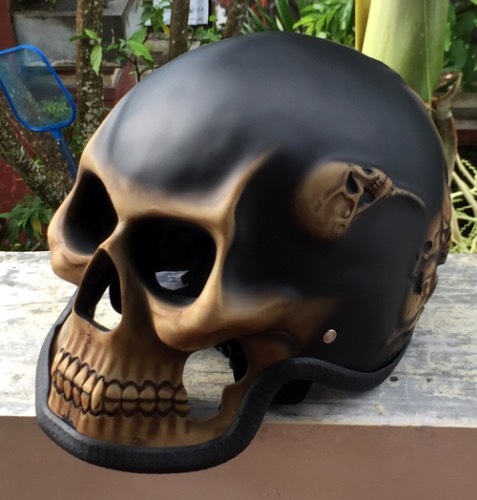 Custom Helmet Biker Motive Skull Ghost Rider Full Face Motorcycle Helmet. 3D Death Skull Visor comes in unique antique brown and in all Sizes. ABS made outer shell Vivid airbrushed and finished glossy coated.